We tend to share lot of photos on Facebook. No wonder, Facebook has more uploaded photos than popular image hosting websites. Ideally, within photo album we click on each thumbnail photo to zoom and see larger version of that photo. 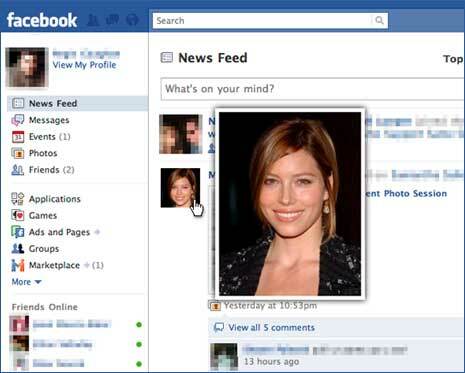 Are you tired of all that clicking to view bigger version of Facebook photos? You can easily cut down on clicks, page hopping and time spent on viewing lot of Facebook photos using Facebook Photo Zoom extension for Chrome. 2. Then launch Google Chrome browser and open Facebook Photo Zoom extension webpage. 3. Click on install button to download and install this Chrome extension. 4. Then goto Facebook.com and login into your account. 5. Click to open any photo album of your friend or own upload album. Hover your mouse over any thumbnail photo to preview larger version of that photo without any need to click through. You can also view bigger version of any thumbnail photo on your Facebook homepage and other pages with same hover on thumbnail routine. Neat Facebook photo viewing for sure, like it? 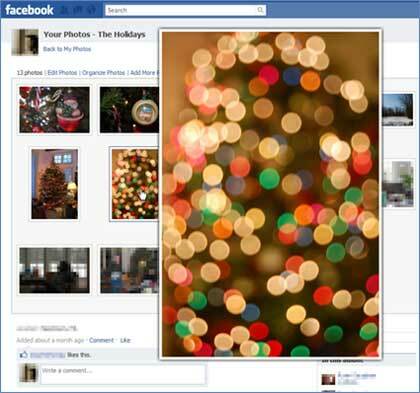 If you happen to realize, large Facebook photos do not look good – you can always edit and add effects to photos within Facebook using Picnik app.